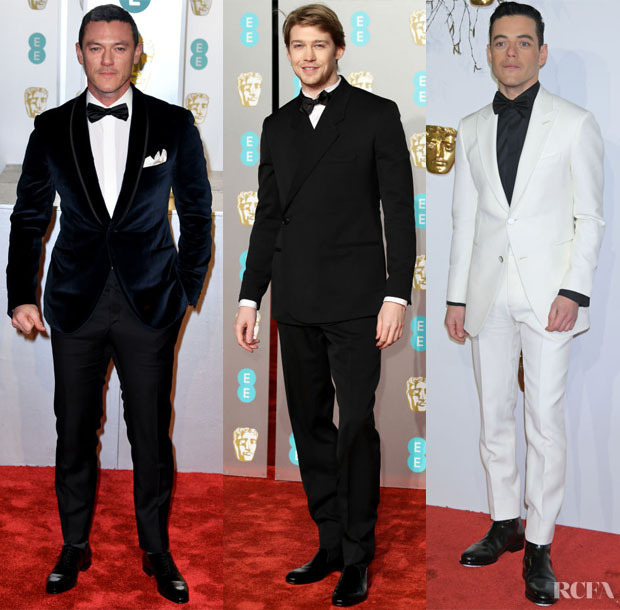 We cannot forget about the men’s striking looks at the 2019 BAFTAs on Sunday (February 10) in London, England. 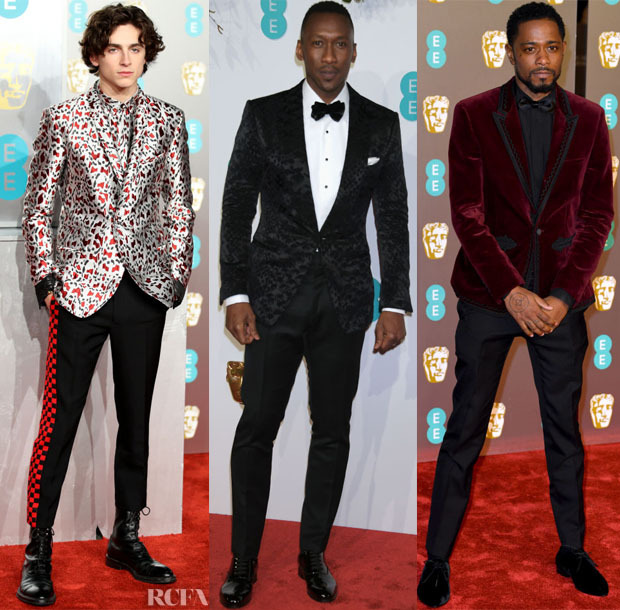 Timothee Chalamet: Ever the fashion darling, I expected nothing less than for the ‘Beautiful Boy’ actor to make a statement. The clashing patterns and cropped trousers of his Haider Ackermann Fall 2019 look was fun-meets-punk. Mahershala Ali: The ‘Green Book’ actor looked suave in Tom Ford. The textured brocade made the classic monochromatic colours something special. Lakeith Stanfield: Outfitted in Saint Laurent, the Rising Star nominee demonstrated his sartorial skills. The black velvet shoes with plush jacket bring things together without becoming too matchy-matchy. Luke Evans: He also made a case for debonair velvet in Corneliani. The similar tones bring out the different fabrics. Joe Alwyn: People will likely do a double take when viewing ‘The Favourite’ actor’s Dior Men suit. It’s an interesting outfit, but it doesn’t feel like it’s totally him. Rami Malek: Breaking away from black, the ‘Bohemian Rhapsody’ actor donned custom Louis Vuitton. The dark shirt and boots with bright white suit was fresh. Bradley Cooper: He looked like a dapper gent in custom Celine. It’s not a look that will be remembered, but one can’t fault good classic tailoring. Riz Ahmed: The slight sheen on his dark dunhill suit formalized the tailoring. The royal blue shirt punctuated the inky base. Richard Madden: The ‘Bodyguard’ star’s satin lapels and velvet loafers attempted to personalize his Salvatore Ferragamo suit. The trouser legs aren’t sitting quite right. They look tucked in. Chiwetel Ejiofor: ‘The Lion King’ actor kept things quite classic in Armani. The cummerbund is the talking point. Frances Aaternir: Rounding out the stylish couple, her Proenza Schouler dress showed tie-dye could be formalized with the tribal design. The jewels could have been too much, but she got away with it.